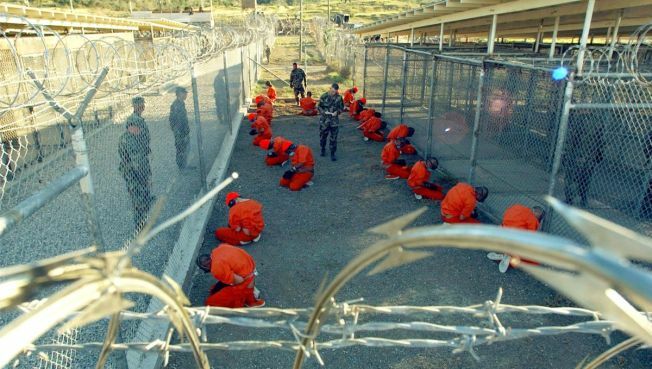 WASHINGTON – President-elect Barack Obama is preparing to issue an executive order his first week in office — and perhaps his first day — to close the U.S. military prison at Guantanamo Bay, according to two presidential transition team advisers. It's unlikely the detention facility at the Navy base in Cuba will be closed anytime soon. In an interview last weekend, Obama said it would be "a challenge" to close it even within the first 100 days of his administration. "What we need are specifics about the timeline for the shuttering of the military commissions and the release or charging of detainees who have been indefinitely held for years," ACLU Executive Director Anthony Romero said in a statement. "An executive order lacking such detail, especially after the transition team has had months to develop a comprehensive plan on an issue this important, would be insufficient." The two advisers said the executive order will direct the new administration to look at each of the cases of the Guantanamo detainees to see whether they can be released or if they should still be held — and if so, where. Many of the Guantanamo detainees are cleared for release, and others could be sent back to their native countries and held there. But many nations have resisted Bush administration efforts to repatriate the prisoners back home. Both Obama advisers said it's hoped that nations that had initially resisted taking detainees will be more willing to do so after dealing with the new administration. What remains the thorniest issue for Obama, the advisers said, is what to do with the rest of the prisoners — including at least 15 so-called "high value detainees" considered among the most dangerous there. Detainees held on U.S. soil would have certain legal rights that they were not entitled to while imprisoned in Cuba. It's also not clear if they would face trial through the current military tribunal system, or in federal civilian courts, or though a to-be-developed legal system that would mark a hybrid of the two. "That's a challenge," Obama said on ABC's "This Week." "I think it's going to take some time and our legal teams are working in consultation with our national security apparatus as we speak to help design exactly what we need to do. "But I don't want to be ambiguous about this," he said. "We are going to close Guantanamo and we are going to make sure that the procedures we set up are ones that abide by our constitution." Sen. Sam Brownback, R-Kan., said Monday that "it's hard to show why terror suspects should be housed in Kansas." "If the holding facility at Guantanamo Bay is closed, a new facility should be built, designed specifically to handle detainees," Brownback said in a statement.